Bail Bonds Oahu: Why Choose One Bondsman Over Another? Why Choose One Bondsman Over Another? We’ll be honest with you — when it comes to purchasing bail bonds on Oahu, you do have a number of different options. Chances are that unless you’ve worked with us in the past and had a great experience or you asked a friend for advice in finding a bondsman and he or she sent you our way, you found us by doing a search on Google. In other words, you have more options than ever. So why choose one bond agency over another one? That’s the topic we’ll be covering in today’s post, so keep reading to learn more. In the past, a common tactic that many businesses would use to be the first option for their customers was to choose a name starting with the letter a. For example, you might have a business called A1 Locksmiths or Awesome Pizza or A+ Roofing. Why is that? It’s because those are the listings that would show up first in the yellow pages, and without any other context for why you should choose a particular business, why not just pick the one that comes up first? As we mentioned above, it’s a little easier to find the business that’s actually the best nowadays. Of course there are still a number of factors to consider, so what are the most important things to look for when it comes to bail bonds on Oahu? Let’s break it down. One of the first things that people want to know when they’re purchasing bail bonds is how much they’re going to cost. It’s common to call a couple of different places to get quotes, and if one stands out as being particularly high, something’s up, and you’ll want to go with another option. 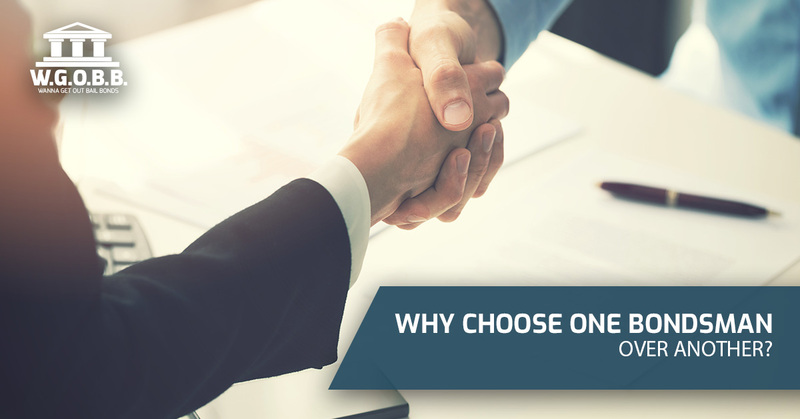 Experience also plays a large role in why you should choose a particular bond agency. For example, although the new guys might do a good job, they don’t have the real-life experience and time spent on the job to know all the ins and outs of what to do, and subsequently, mistakes can be made. If you go with a crew that has experience — like ours does — then you know that they’ve personally spoken with a number of people at jails and they know how the system works. This is, of course, to your advantage as a customer. Last, but most certainly not least, the personality of your bondsman makes a big difference. Is the person you’re talking with on the phone gruff and seemingly in a hurry? That’s not what you want. Conversely, it’s best to choose to work with someone who is honest, thorough, and friendly. The good news is that our team prides itself on offering personable and personalized services to meet your specific needs. In other words, you can count on us to make sure you’re in the loop. In fact, one of the things we say the most around here is that we treat our clients like family. In the end, the question is why choose Wanna Get Out Bail Bonds? The answer is simple: we care about your situation, and we’ll go above and beyond to prove it to you. As we mentioned at the beginning of this post, we know that you have some options, but we’ve made it our mission to be the best of the best within our industry. No matter the time of day or night, no matter the situation, you can count on us to provide you with a level of customer service that is simply unmatched by our competition. It’s as simple as that. We offer free bond advice as well as flexible payment plans, ensuring that our clients always get the help they need. Contact us today to get your loved one out of jail quickly.